Fun! Fun! Fun! Free! Free! Free! Party! Party! Party! Yeah, come on down to our Big Bumper Funtastic New Year’s Eve Party Special! 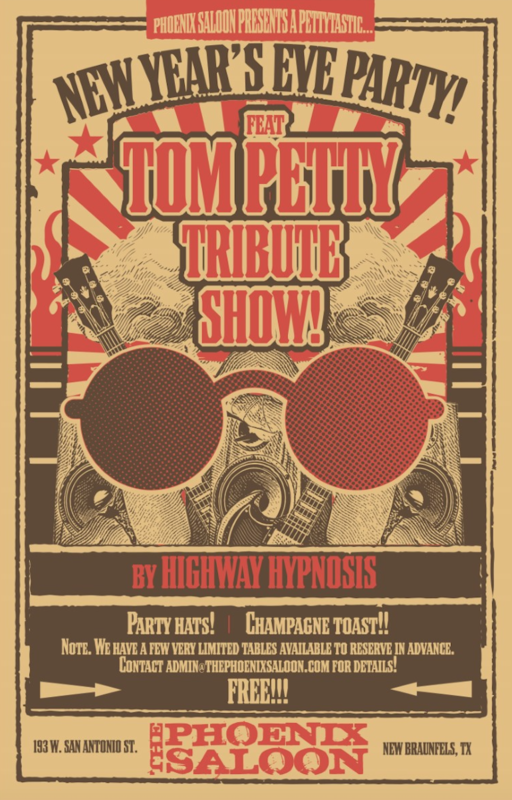 Featuring a special TOM PETTY TRIBUTE by Lucas Taylor’s HIGHWAY HYPNOSIS. Ace stuff, you betcha by golly wow! Rock! Rock! Rock! Dance! Dance! Dance! Party! Party! Party! Note. This year as a thank you to our customers for another great year we are making this a FREE show! Party hats and free champagne toast as per usual. Get here early to snag a table. Partay!